How do I import my message from BEE Free to BEE Pro? Did you spend a lot of time creating the perfect message on beefree.io? You don't need to start from scratch in BEE Pro. 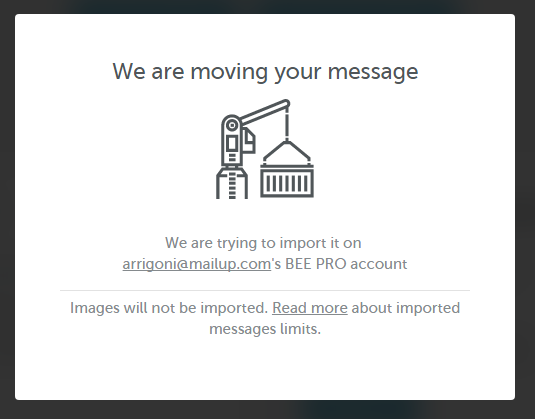 You can easily import an autosaved BEE Free message in your account by using the Import in BEE Pro action on the download page (after saving the message). Click on "I just want to DOWNLOAD it" to save the message locally: it can help you re-upload the images later (see under "Limitations" below). 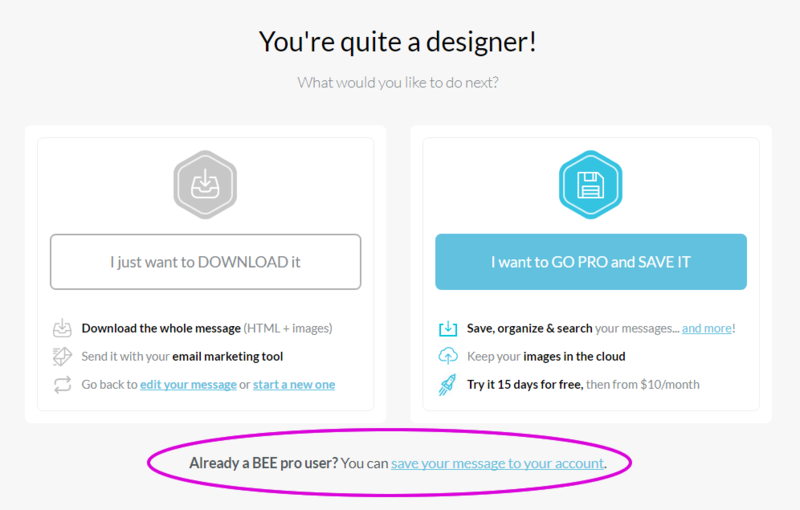 Click on "... save your message to your account" to transfer the message to your BEE Pro account. The application will ask you to log in your account to move the message. Once completed, your design will be waiting for you in the messages list. To clearly identify the message, BEE Pro will automatically apply the tags "beefree" and "imported". 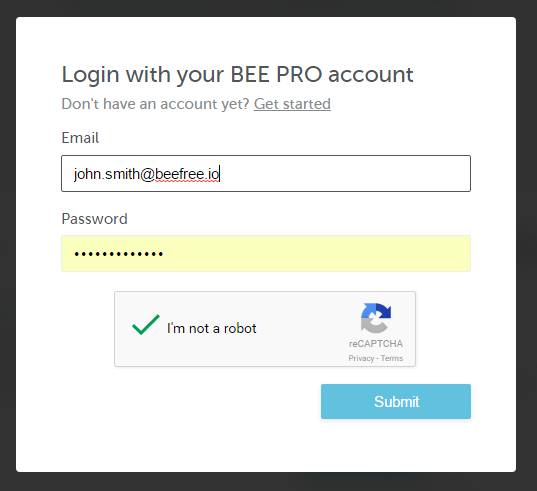 You have to first create a BEE Pro account, and then go back to your BEE Free message: you cannot create a BEE Pro account AND transfer the message at once. Images will not be imported to your BEE Pro account. Since images on beefree.io are deleted automatically after 3 months, if you plan to use that message in the future, we recommend that you re-import them manually into BEE Pro. Doesn't seem to work anymore - the option "Already a PRO user?" doesn't exist anymore, as it seems? Hi Robert, the import to BEE Pro works fine. What's exactly the issue you found? Only half of the emails/templates I am trying to import into my pro account via the above process actually make it. So there's definitely a glitch that we'd like you to look at, please.